The new film from IDX Studios called Extraction is a triple threat. 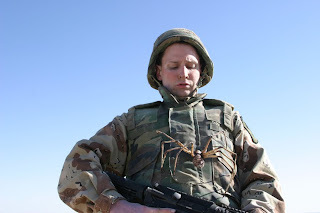 Soldiers in an unnamed desert must deal with the enemy, the elements, and giant-sized camel spiders! This first trailer below shows all three concepts working together to create for an explosive experience. 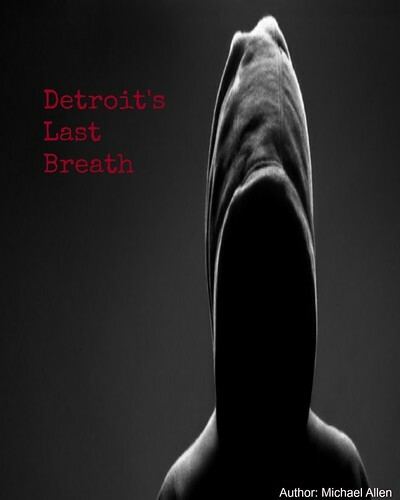 The film is still in the early phases of production and looking for support. All the details on this project, including a second photo, are below. "In the film, a group of soldiers in Iraq fall prey to a new enemy that stalks them from below the ground. In a fight for their lives these poor souls not only have to try and survive the onslaught of dozens of mutant arachnids, but also live long enough to expose a government cover-up concerning them" (Crypto). Producers: Milko Davis and Russell.